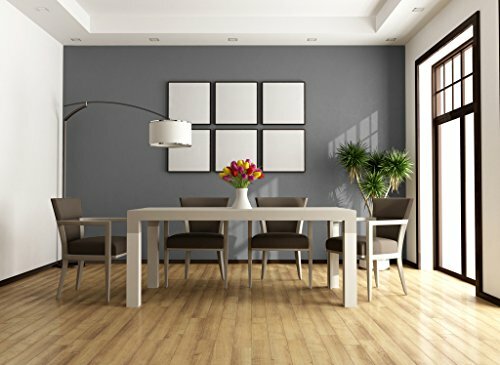 Portland Gray TemPAINT is a removable peel-and-stick wall covering that can be used as a replacement for gray paint or solid-colored gray wallpaper by those searching for a quick and easy home improvement solution, at a fraction of the cost. TemPaint comes in an easy-to-handle 64 sq. ft. (23.6" x 32.8') roll. Inspired by our sister city to the south, this rich gray shade will add a pop of color to any home or work environment without overwhelming your space. Portland Gray TemPAINT works equally well as an accent wall covering or border for your kitchen, living room, dining room, or restroom, or bedroom space, including inside cupboards, drawers, and cabinets, as a self-adhesive contact paper or shelf liner. This shade works well with natural elements like wood flooring and farmhouse decor. TemPAINT will look beautiful through years of use (just like paint or wallpaper) as a permanent wall covering, but it's designed to peel away, as needed. This makes it an inexpensive and easy solution for redecorating your entire home, dorm room, or apartment, where permanent paint or wallpaper are not allowed. Be sure to wipe down your wall to remove dust and grime prior to application! Apply to glossy-painted surfaces for best results. Weak/Matte paint or rough surfaces may peel or break away upon removal of TemPaint. Do not apply near high-heat locations (e.g. backsplash behind a stove) as the material may warp, bubble, and peel. You may experience a vinyl smell (like new linoleum) which should dissipate within a day. Please see the FAQ section of our website ( tempaint.com/faq ) for extended product information, tutorial videos, and more. Peel-and-stick alternative for gray paint or solid gray wallpaper. TemPAINT also makes a great contact paper or shelf liner for drawers, cupboards, and cabinets. Easy to apply: Just wipe your surfaces clean, measure, cut, and stick. TemPAINT is self-adhesive and does best on glossy painted surfaces. TemPAINT is long lasting but easily removable, making it a great design solution for either your home or dorm rooms and apartments where traditional paint is not allowed. No mess and about half the cost of roll-on or brush paint and other wallpaper solutions. TemPAINT offers a quick and easy alternative to the hassle of home improvement. Please visit our website (tempaint.com/faq) for instructional videos and application requirements. If you have any questions about this product by TemPaint, contact us by completing and submitting the form below. If you are looking for a specif part number, please include it with your message.